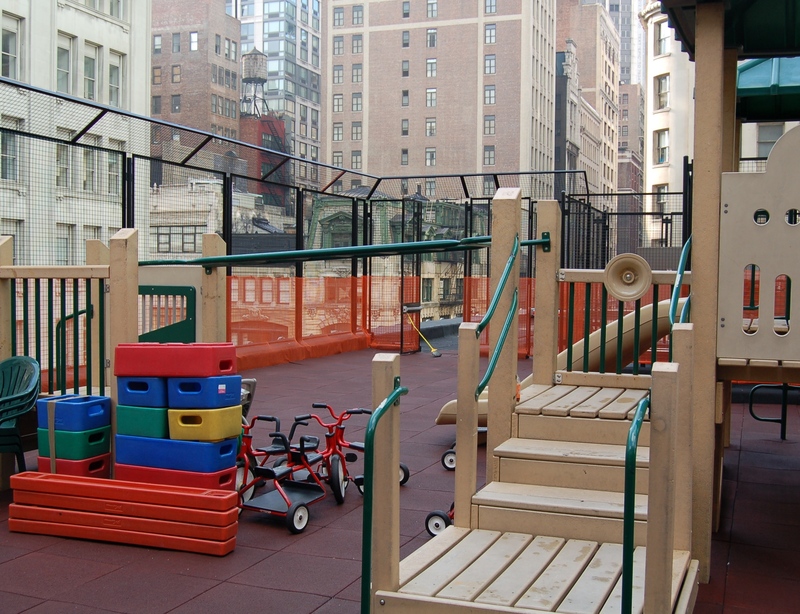 Chelsea Day School has become regarded as one of Manhattan’s premier nursery school, serving lower Manhattan children and their families for over 30-years. The school was established in a small row-house on 18th Street where enrollment grew steadily. Children’s artwork filled the walls of a joyous setting, and eventually the school moved to a newer and larger space on 14th Street, but for only a few years. 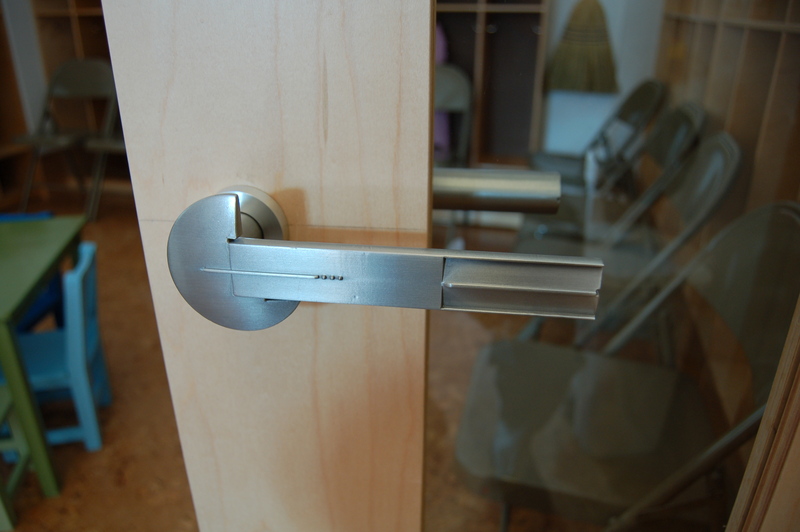 In 2008, economic factors compelled the school to consider an unexpected relocation, and raw space was secured in a five-story commercial building on a hectic midtown block. George Ranalli Architect was called upon to revise 12,000-square-feet of existing spaces on the building’s second- and third-floors for 10 classrooms, a large multi-use indoor playroom, staff offices, a teacher break room, a ceramic studio, storage, and a rooftop playground. Environmentally responsive architecture included the use of energy-efficient construction methods and green features such as super-insulation and paints, flooring, and adhesives absent any volatile organic compounds, and formaldehyde-free millwork. The layout for the new school captures optimal natural sunlight, and a forced-air circulation system cut the energy consumption from the HVAC-system in half. 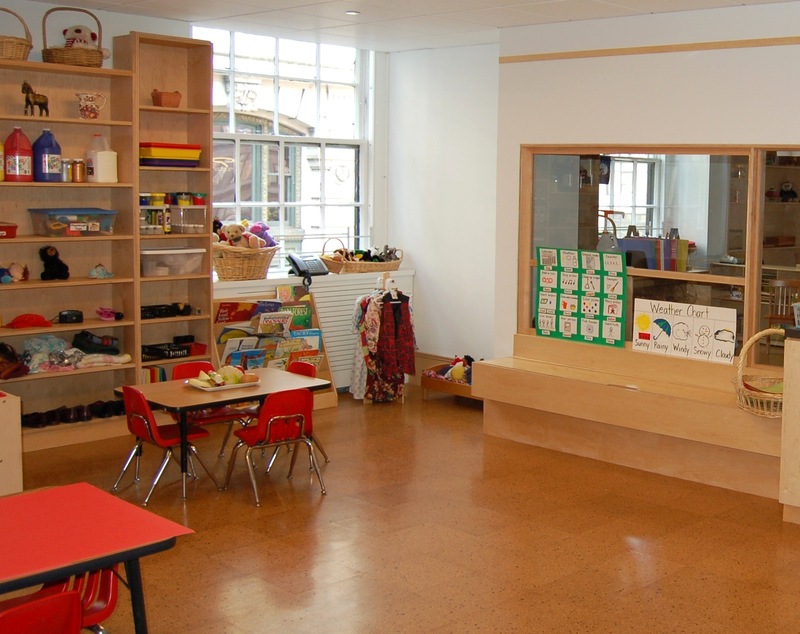 Importantly, the interior architecture is sensitive to the developmental period of early childhood, and the school’s vision for children to occupy a steady place for exploration and friendship. Two floors of the commercial building were designed accommodate an classroom features such as cozy nooks and niches for sitting and playing, and larger rooms for group gatherings. From the public street, an anonymous alleyway was transformed with simple design strategies to create a welcoming passageway for children and adults, by staircase or elevator to a second-story main entrance. Architectural form shapes a spacious foyer and cavernous storage room for prams, on one side, and a welcoming reception desk on the other, and beyond, an airy ‘piazza-like’ space filled with natural sunlight and a palate of honey yellow, eggshell, and cork finishes. The large central space functions as an auditorium, school library, and a rainy day indoor play-gym. At the center, a broad interior staircase adjoins previously separate spaces on the second-and-third-floors. The staircase also doubles as stadium-style seating, a podium, and a singing loft. On each of the school’s two floors, meandering hallway accommodate circulation for teachers and children, and provide spaces for casual moments of connection. These intermediate spaces offer cozy seating and views inside classrooms. Each one is equipped with a kitchen and pantry and ample play space. The layouts are keyed to the building’s large windows, and students are captivated by views of Manhattan buildings glinting in sunlight, one moment, and disappear behind thick fog the next. Outside, wide and gently curving hallways offer niches and transparencies for young students to enjoy while acclimating to the setting. Carefully placed transparencies balance density and openness. Views through to adjacent rooms and layers of space provide a sense of interconnection across the school. A spacious faculty break-room provides a full kitchen and large dining table to facilitate collaboration and round-table discussion. Storage is tucked behind operable honey grain wood panels and beneath hinge-topped bench seating for all manner of miscellanies, while staving off the perils of urban clutter. Interior passage meanders to an atelier-style ceramics studio and an art room. Throughout, the architecture speaks to utility, durability, and youthful sensibilities.